Got a comment or question regarding a post? A related cruise question? Or perhaps you would like to work with me? 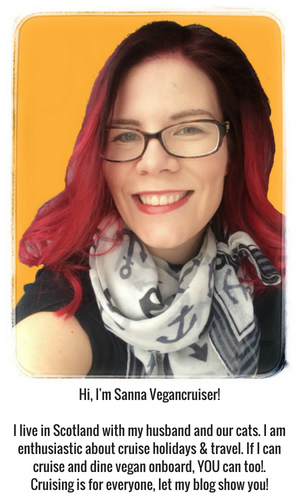 Do not hesitate to get in touch – email me at sanna (at) vegancruiser.co.uk or use the contact form below.